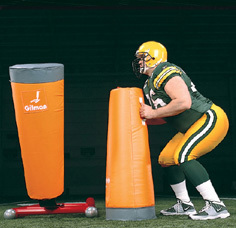 The CONE PAD offers a tapered and round target. Measures 18" wide by 45" long. "The coaching point is blocking angles!"